Are you afraid you might have a bed bug issue in your home or business? Are you completely sure? Well, here are some of the things you can do on your own to get rid of bed bugs. Before we start, we just want to make it clear – having bed bugs is not something you should feel embarrassed about. Anyone in the world is at risk of getting bed bugs. They can come into the home in a multitude of ways and once they are there, they can be a nightmare to get rid of. 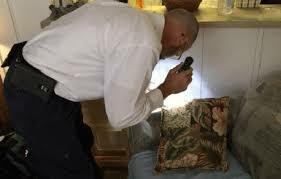 Most of the time, bed bug extermination needs to be handled by a professional. A well trained, certified, and experienced pest control specialist is always preferred. If you are a tenant and your landlord is not taking care of the problem in a timely manner, you can call 311. A complaint can be filed with the dept. of Housing Preservation and Development. You can also hire your own bed bug removal service and bill your landlord for what was needed. There are thousands of pest control professionals in New York City. They are not all one in the same. Not all are trained the same when it comes to bed bugs, as it is a specialized problem and not as common as you might think. There are a few ways you can vet out the best of the best pest control companies for bed bugs. Interview more than one company before you choose. Ask them about how they train themselves and their staff and their approach to handling bed bugs specifically. Get your pricing and services agreed upon ahead of time just like you would with any other contractor. You should expect to be paying for them to visit you 2-3 times in order to get rid of bed bugs fully. That is normal. Severely infested areas and apartments could take more visits before being fully fixed due to obvious reasons and the presence of neighbors. Come by the property for a bed bug inspection. This is almost always done before you can get a solid price from a pest control company that is more than just a simple estimate. Contact us if you need an bed bug inspection in Staten Island, New Jersey, or New York City. Give you a written report based on the inspection and a plan of action to how they are going to attack the problem. They should also be including a plan on how to prevent further infestation. Base their quotes on findings from your specific case. Flat fees are a red flag. The cheapest services you find are usually cheap for a reason. Visit often throughout the course of the project until completion and then sometimes after for a follow-up inspection. Employ only qualified, experienced technicians or handle the job themselves (the owner). Educate you on how you can prevent bed bug problems in the future. Work with you until the bed bug problem is completely gone. And that’s all there is to it! If you follow these quick steps and consider all of these factors, you will have no problem choosing the best bed bug exterminator. Staten Island and other parts of NYC can be challenging areas for pest control, but with a little effort, you can find the right person for the job.